I will manually create 20 PR9 Backlinks +20,000 blog comment backlinks on them for link juice ! 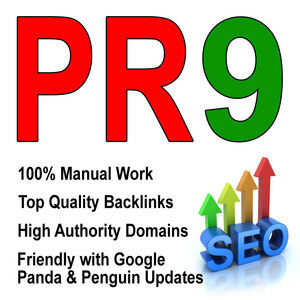 You will get PR9 root domain backlink from Authority and Trusted sites like Adobe, Wordpress, Cnn, Hp, Opera and many more to increase your website Authority ! After that I will build more than 20.000 blog comment backlinks build on these PR9 backlinks for extra link juice to your website. For great results, order with extras ! All I need is your website url, keywords and short about me description. Delivery in max 5 days with full report file.